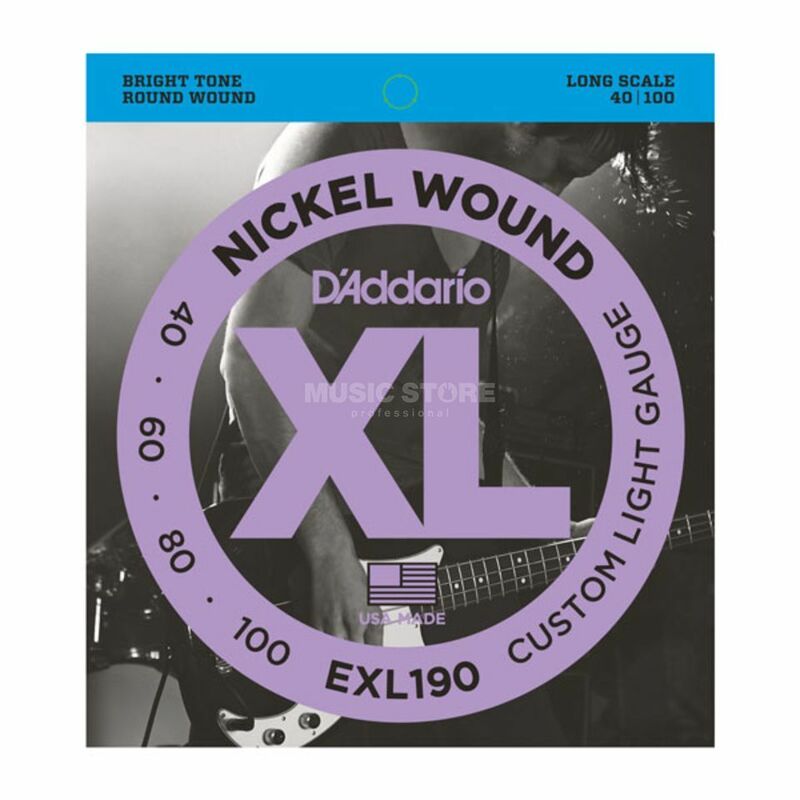 The D'Addario EXL190 Long Scale Custom Light Bass Strings 40-100 is a pack of strings for a four-string bass guitar. The EXL190 set hybrid combination of the EXL220 and EXL170 sets, optimal for comfortable playing tension with distinctive brightness and booming, tight lows. The distinctive bright tone of XL nickel wound strings combines with greater dynamic control and a more consistent feel between strings. This production offers evenly balanced bending, strumming, fretting, picking, and plucking. XL Nickel Wound strings are precision wound with nickel-plated steel onto a carefully drawn, hexagonally shaped, high carbon steel core.